Looks and sounds pretty cool, doesn’t it? It sure sounds fancy… but what exactly is a Limited Liability Partnership (LLP)? 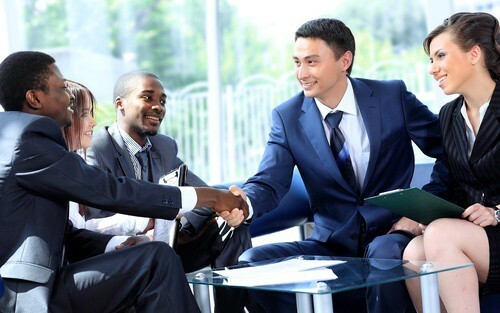 Here’s the deal… You have to have at least one business partner to be an LLP. Both (or all) of you must want to limit your liability. If these ring true, you might consider forming a limited liability partnership as your business entity. A limited liability partnership (LLP) is like a general partnership but with an added layer of liability protection for all. Many ‘professional’ organizations (such as accounting and law firms) form themselves as limited liability partnerships. The benefit is that it limits malpractice claims against uninvolved partners. In fact, some states limit LLPs to certain professionals such as lawyers or doctors. LLPs are also limited by state regulations where they are not recognized in every state as a business structure. Be sure to check out your state’s rules and regulations on this. The Best Part? With the LLP, each partner is only liable for debts and obligations created by his or her own negligence, malpractice or misconduct. It also protects you from these issues by anyone under a partner’s direct supervision. Yep, it protects you from that one office idiot that you can’t seem to keep in line! LOL! Some states limit personal liability for your partner’s negligence. Sometimes also for partnership contracts/debts. This makes everyone only personally liable for his or her own bad moves in a business partnership agreement. Think of the LLP as a “stand-in”. It stands in for you as a legal entity in the event that your company is sued. Your personal assets are protected from being touched in the event that you lose. Let’s say that Bill and Ted have formed a general partnership. (NOT an LLP) They sell telephone booths. If one of their booths falls over on someone in the showroom, they can both be personally sued for damages. They could lose their personal bank accounts and their homes. Not good. Because of this, many people quickly turn general partnerships into formal legal entities like a Limited Liability Company (LLC) or an LLP. How Many Partners Are Required To Start An LLP Business Partnership Agreement? What Are The Advantages of A Limited Liability Partnership Agreement? Like we said, all partners in an LLP have limited liability from errors, omissions, negligence, incompetence, or malpractice committed by other partners or by employees. Now if your partner commits a wrongful act, or if they are involved in other’s wrongful acts then they are still personally liable. Still, your other partners are protected from liability for the act of the one a-hole. Also, individual partners are not personally responsible for company debts or other obligations. This is a huge benefit. An LLP can also protect professionals from being involved in a malpractice suit against another partner. However, this is not guaranteed. In a partnership, individuals are normally liable for filing personal income taxes, self-employment taxes, and estimated taxes for themselves. The partnership does not have to pay taxes. Credits and deductions of the company are passed through to partners. The partners file their individual tax returns. Each partner has a percentage of interest in the company. Credits and deductions are divided by that percentage among each partner accordingly. This is beneficial for those with a limited interest in the company. Why is this important? 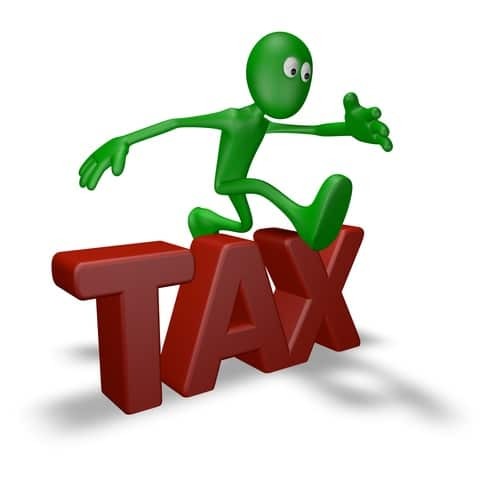 It allows you to avoid double taxation! In an LLP, business partners may choose amongst themselves how they will each contribute to the company. Depending on the skills of each partner, they decide how managerial duties will be shared. However, flexibility in business operations can become a disadvantage if a partner makes decisions based on personal interests as opposed to the interest of the partnership as a whole. This agreement requires less paperwork and less legal requirements than a corporation. 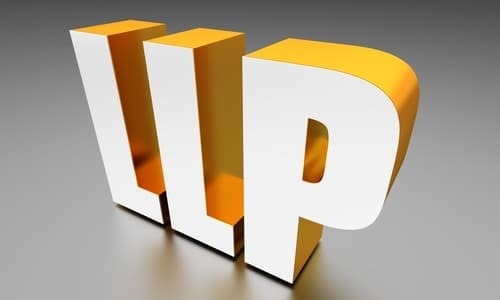 LLPs typically offer easier conversion from a general partnership to an LLP than to an LLC or corporation. Yay! Are There Disadvantages To Having An LLP Agreement? As previously mentioned, taxes are paid at the business level. Because of the special structure of limited liability partnership agreements, the IRS in some states will recognize the structure as a non-partnership. This could potentially be a problem for partners who require special tax consideration. Also, unlike general partnerships, limited liability partnership agreements are not recognized as a legal business structure in every state. As previously mentioned, some states actually limit the creation of a limited liability partnership to professionals such as doctors, accountants, lawyers, etc. As in a general partnership, every partner in an LLP can participate in its management. This is different from another type of partnership, a limited partnership, where one partner has all the power and most of the liability and the other partners are silent but have a financial stake. With an LLP, the liability is also shared. However, it is greatly limited. We had only two companies to choose from as not all business entity services offer an LLP. It was between BizFilings and LegalZoom. BizFilings! They really impressed us. BiFilings won us over in terms of customer service, customer support, ease of use of website and customer reviews. We had a pretty flawless experience with BizFilings, and LegalZoom wasn’t bad either, so what kept LegalZoom from being number 1? Yo! We're an LLP! Now I can't screw you and you can't screw me! Good times. Great question. We’re not going to lie to you- there are situations when LegalZoom could be a better choice. If you need access to a lawyer for any reason, LegalZoom does offer lawyer consultation at a price where BizFilings does not. Of course, you could get a lawyer on your own. LegalZoom will also allow you to pay in three payments, so if money is tight, this might work better for you. In conclusion, either company will likely do you well, but the customer experience and ease of use award clearly goes to BizFilings. However, we don’t think you will go wrong with either. The number one importance in our ratings is ease of use. Business owners have enough to do without dealing with crappy service for something they need. Nobody likes to try to get something done and have a big hassle or mistakes to correct. As with any legal entity, it is important that you check the laws in your nation (and your state) before making your decision. Still, BizFilings is our #1 pick for you, barring any special needs you may have in your filing of a Limited Liability Partnership agreement.